Tenant credit checks and references are vital tools for helping a landlord decide whether to take on tenants. A credit check is a snapshot of the tenant’s financial history that gives an insight in to if they pay their bills on time. The amount of credit is not relevant – as a landlord you just want to know you are likely to get paid in full and on time. References are not so useful – only a really dumb tenant is likely to offer someone as a testimonial who is going to blow their chances of renting a home. 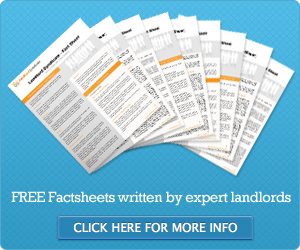 Several firms offer this service, including the National Landlords Association and Residential Landlords Association. Prices start at around £6.95. Landlords can go direct to one of the big three credit rating bureaux – Experian, Equifax or Callcredit. Each tenant must give written consent to the check – and landlords should reference everyone living at the property even if their name is not on the tenancy agreement. Debt problems need considering in context. The main question is are they in the past or continuing. Debt action taken two or more years ago probably mean the worst is behind them. The reason for credit checks is to find out if the tenant can afford the rent. A rent ratio is a simple formula for helping make the decision. Multiply the rent by 2.5 – if the tenants gross income is equal to or more than the amount, then the likelihood is the rent is affordable. Landlords with this cover for tenants who default on the rent will not be able to make a claim if they did not carry out a credit check before any tenancy agreement was signed, and certainly before the tenant moved in.